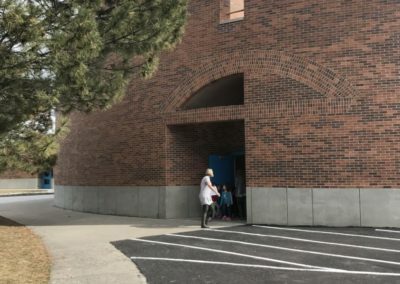 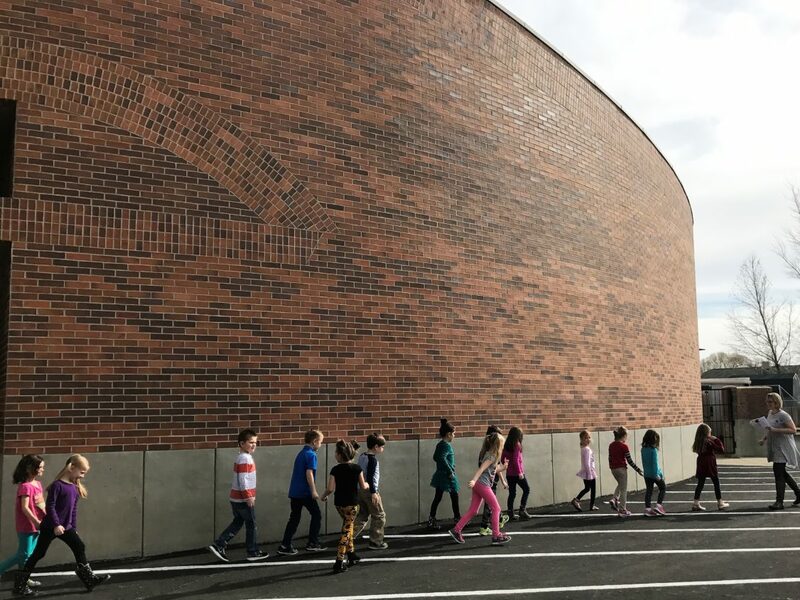 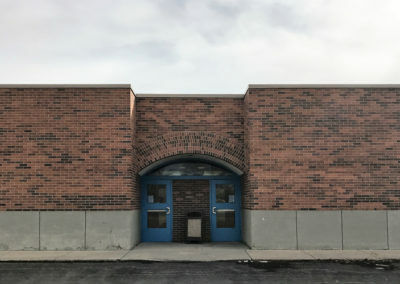 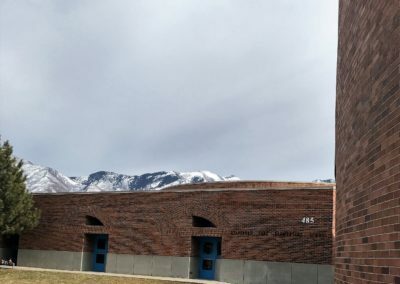 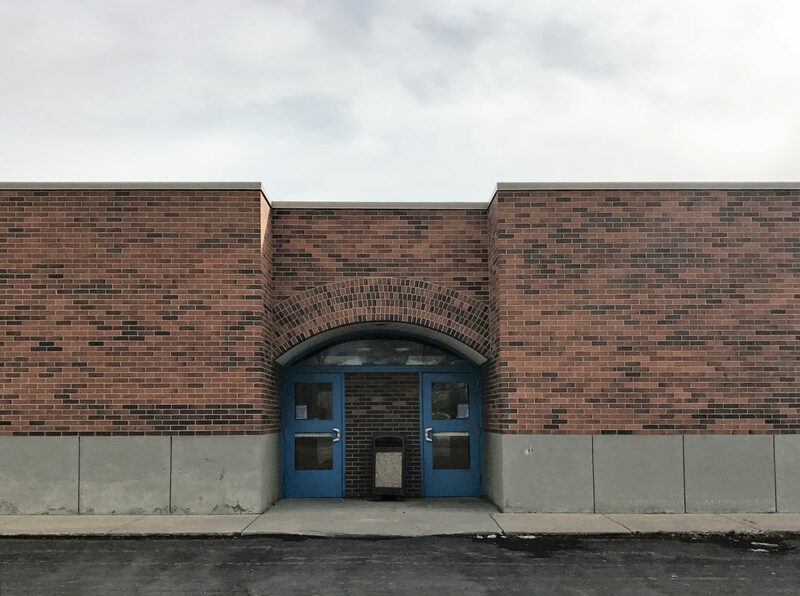 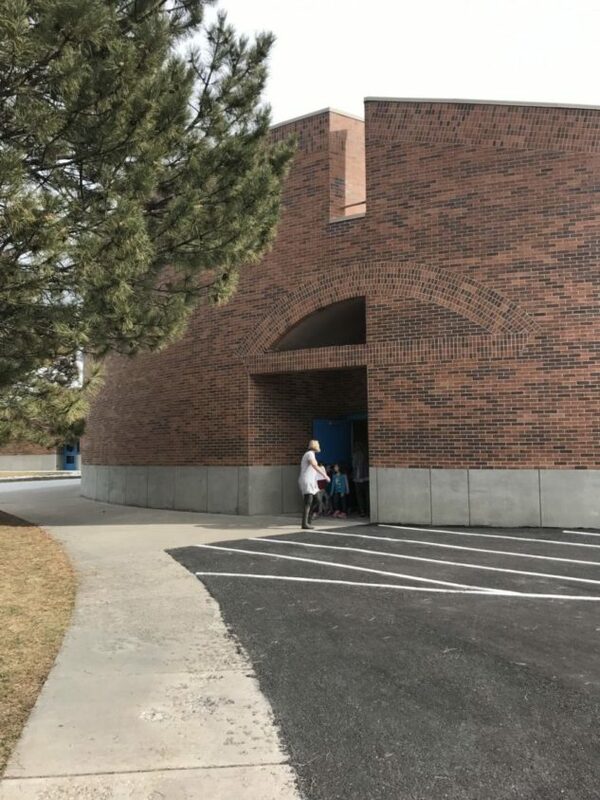 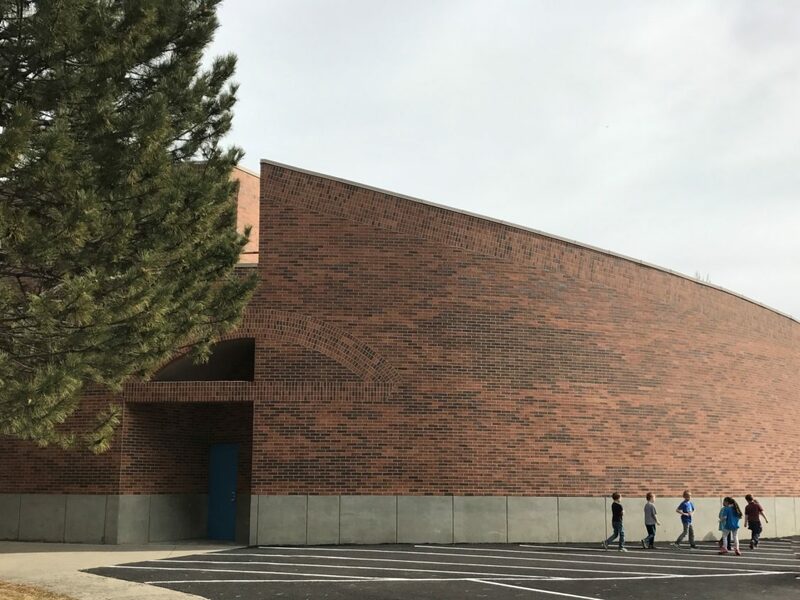 An elementary school for a new subdivision called Stansbury Park, called for a large program to be executed under a tight budget. 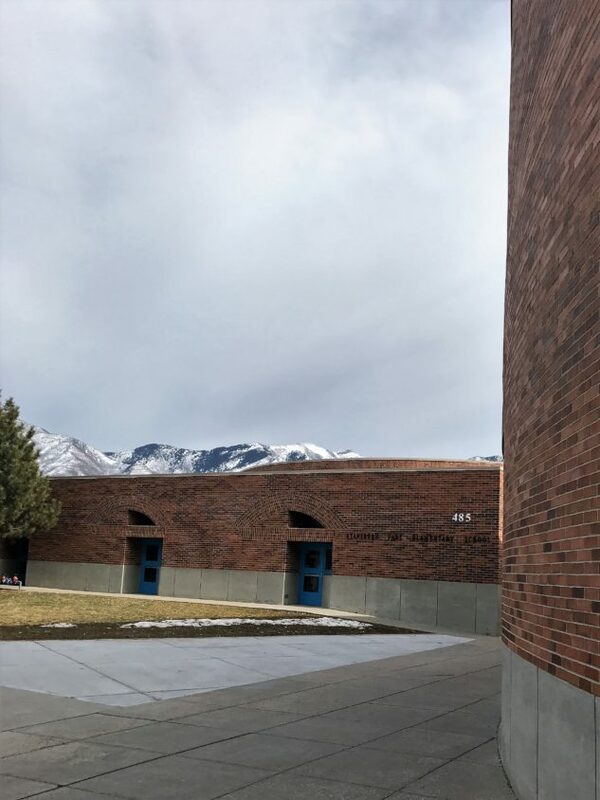 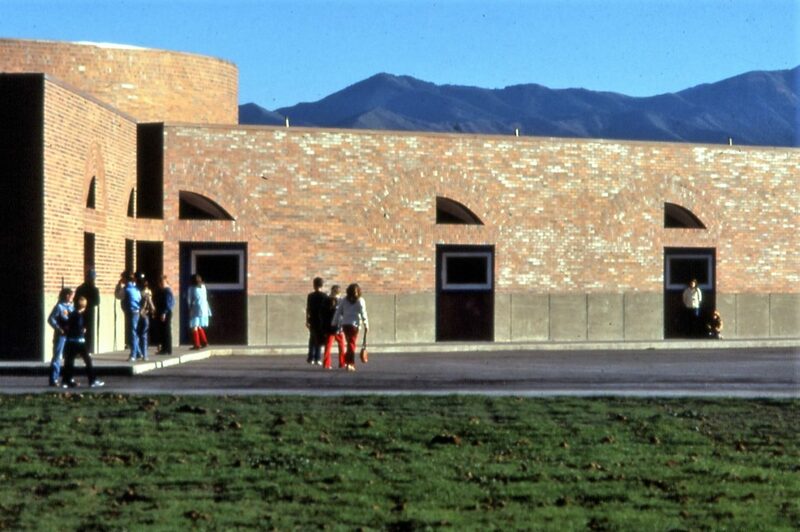 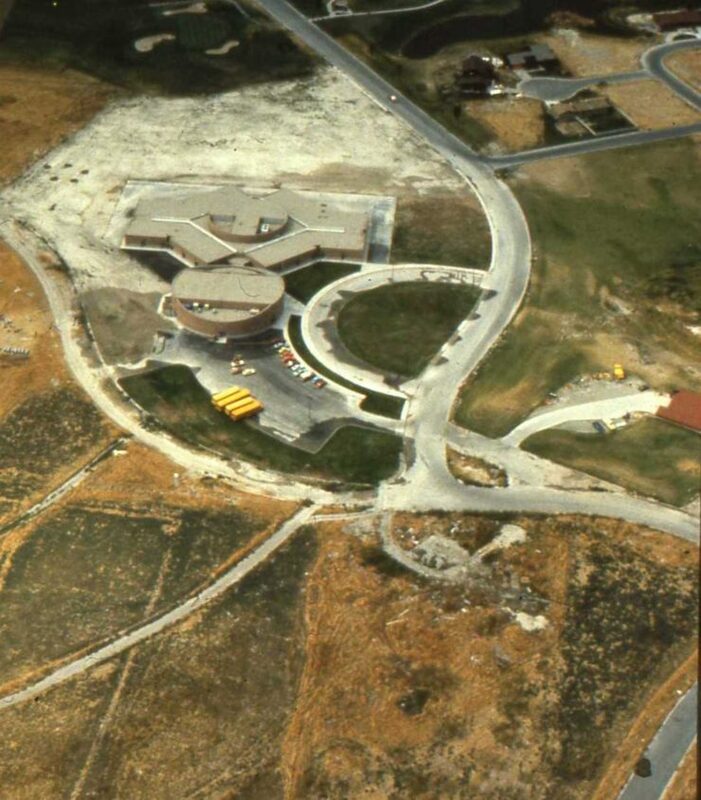 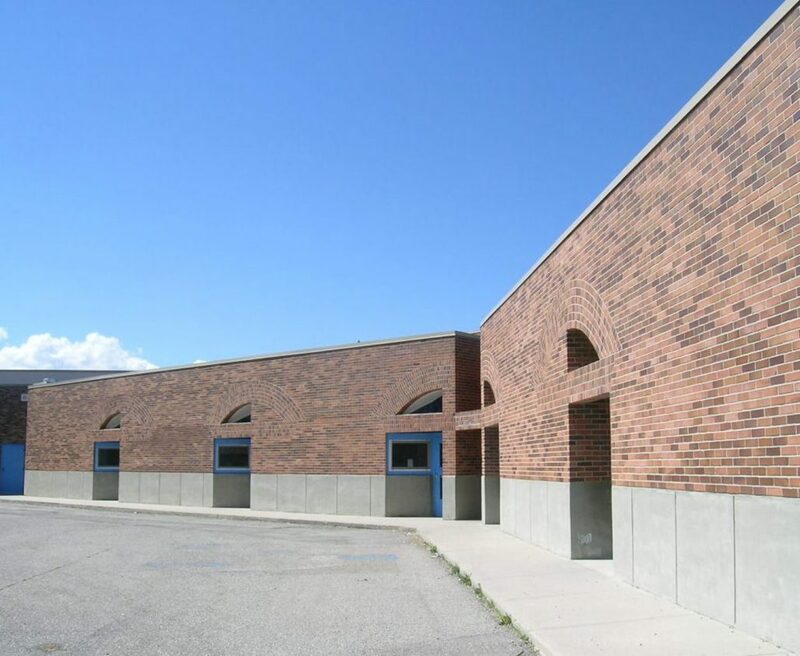 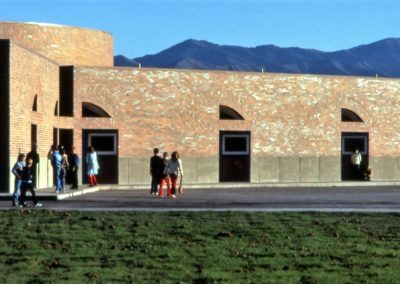 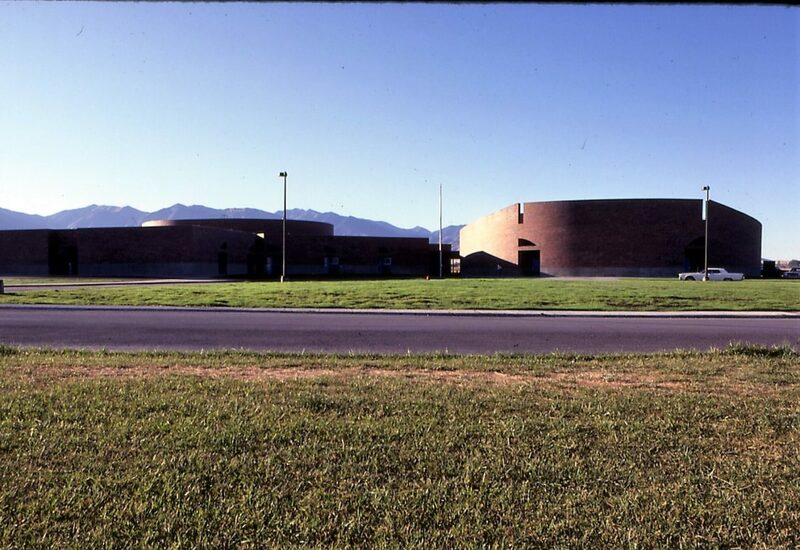 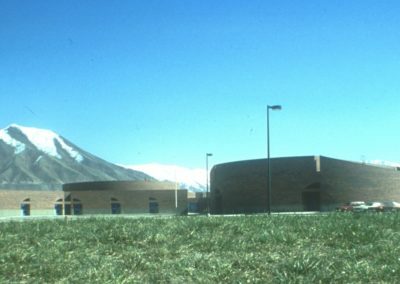 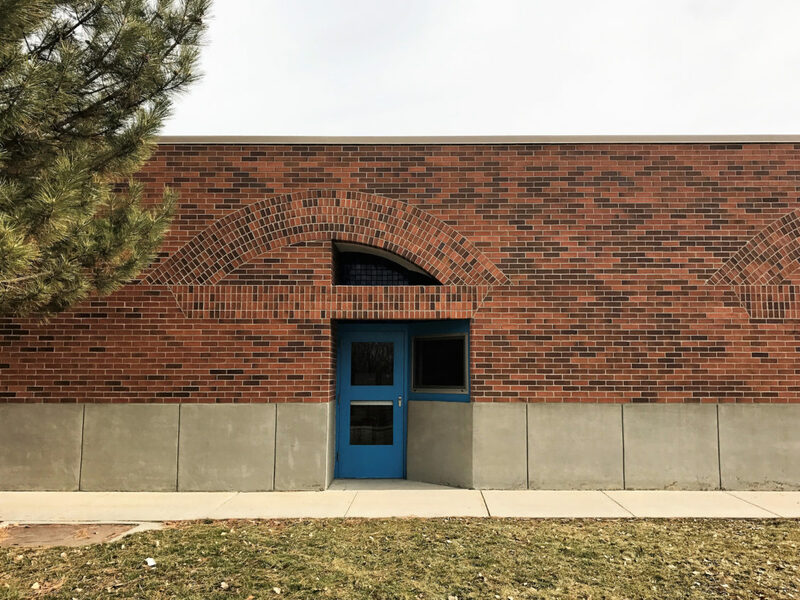 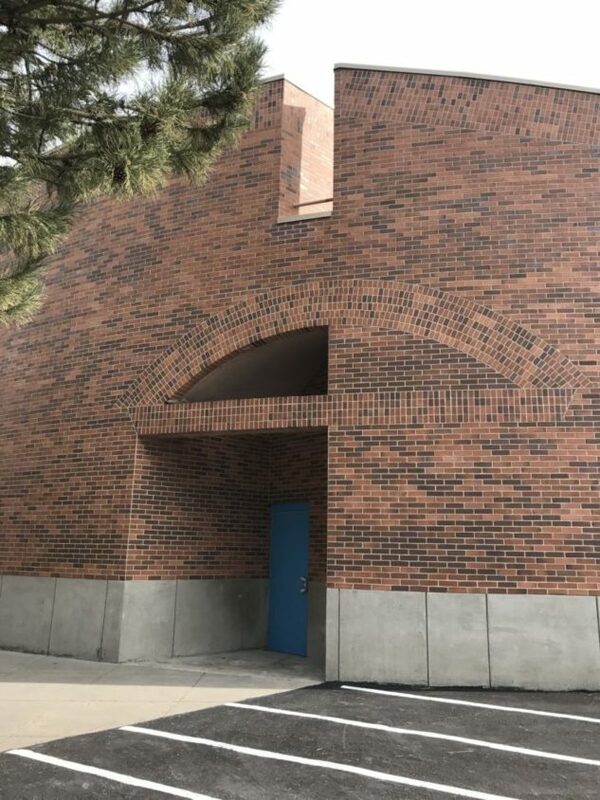 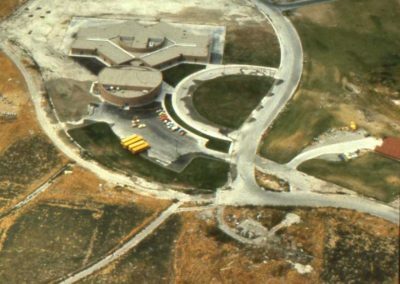 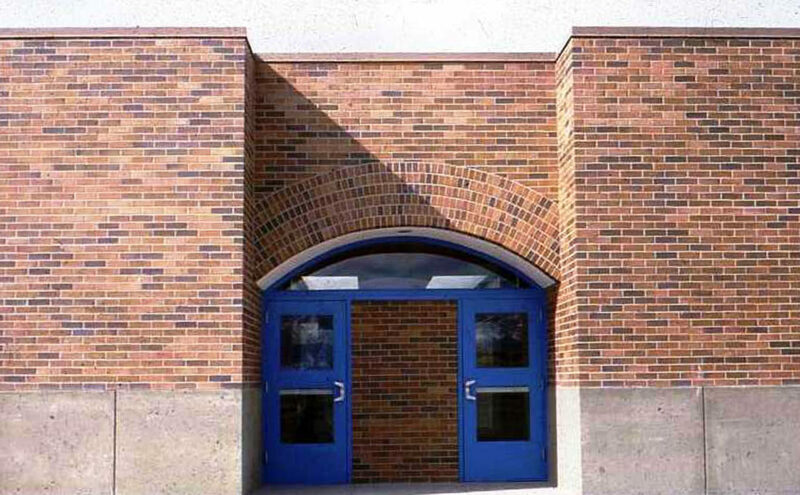 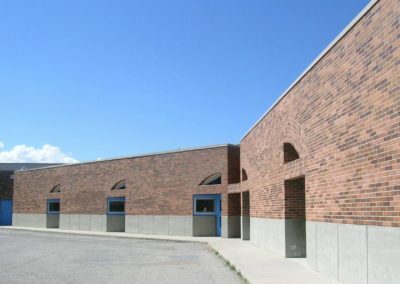 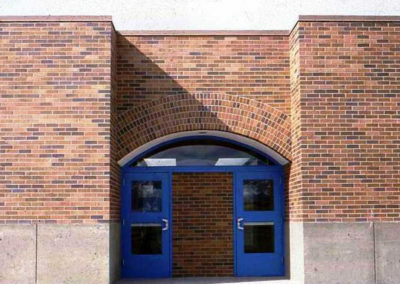 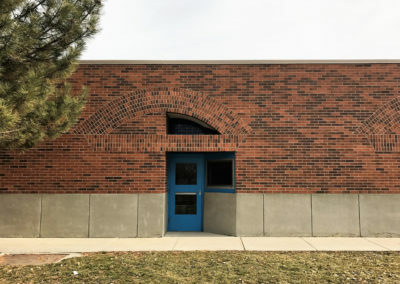 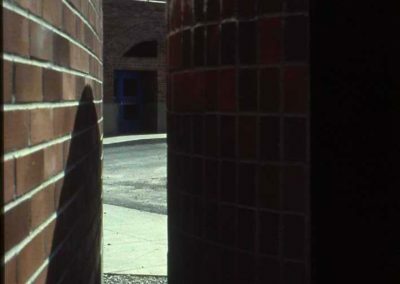 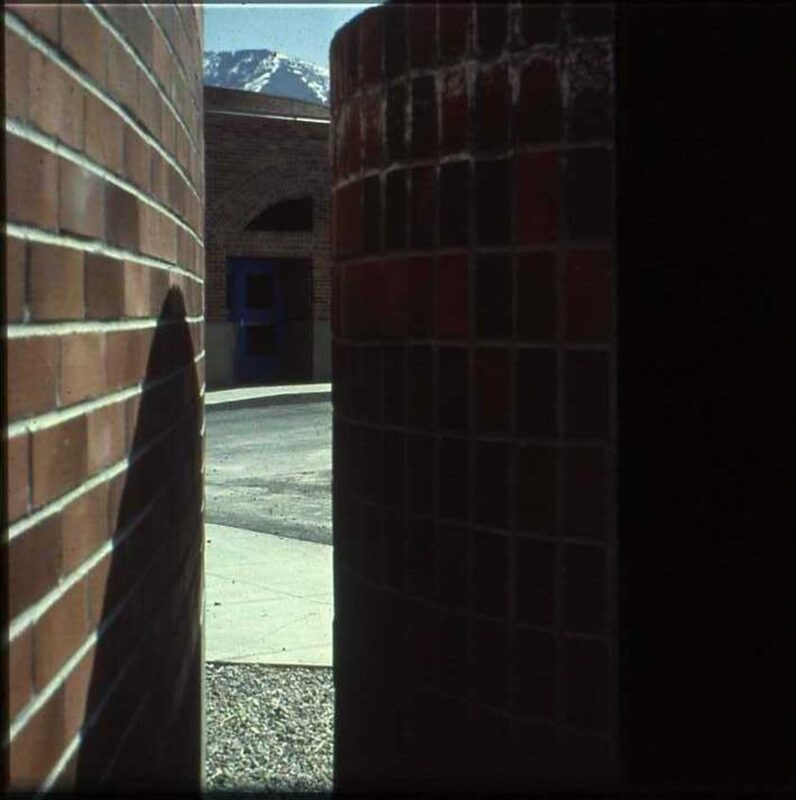 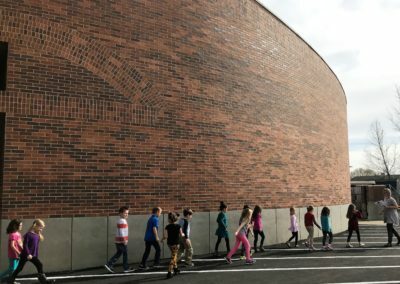 The program called for a windowless school and impervious materials for the cold weather and winds which prevail in an area by Tooele, Utah, close to the Great Salt Lake. 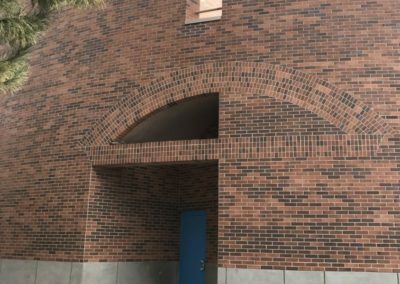 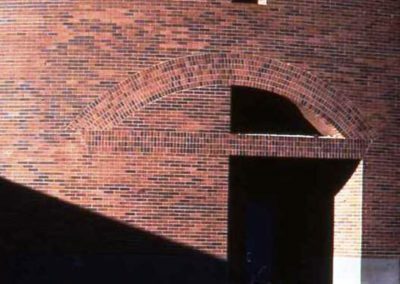 Kenneth Lambert and Kenneth Pollard created a wood structure with brick veneer. 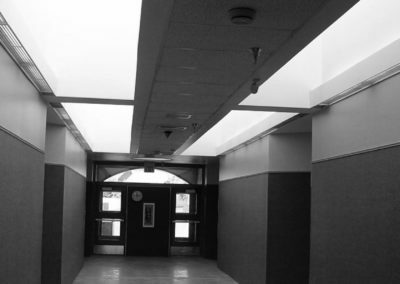 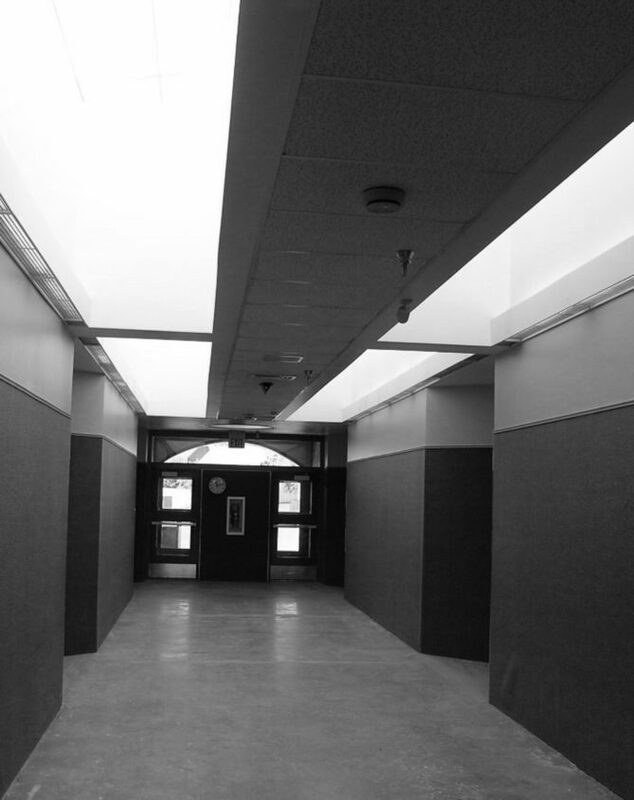 The entire corridor throughout had skylights to provide the students with sunlight and time of day passage. 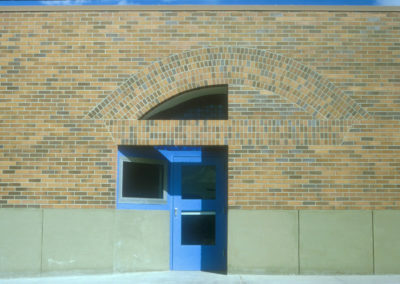 Exterior doors of the classrooms had glass for sunlight and views. 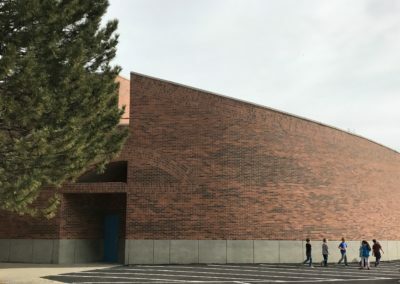 The importance of scale and materials play an critical part in this project. 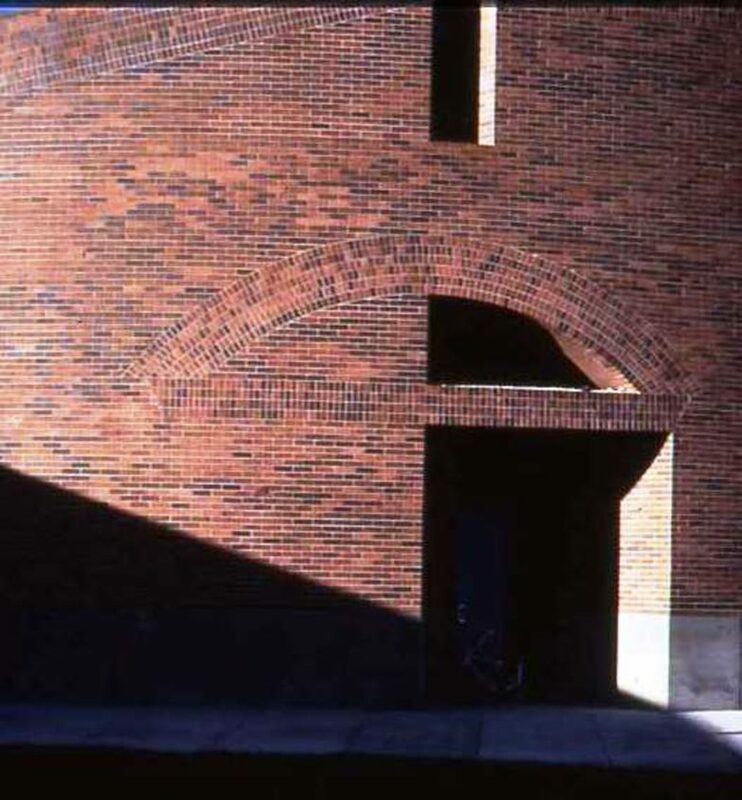 This project was preformed under the firm Scott , Louie and Browning Architects.